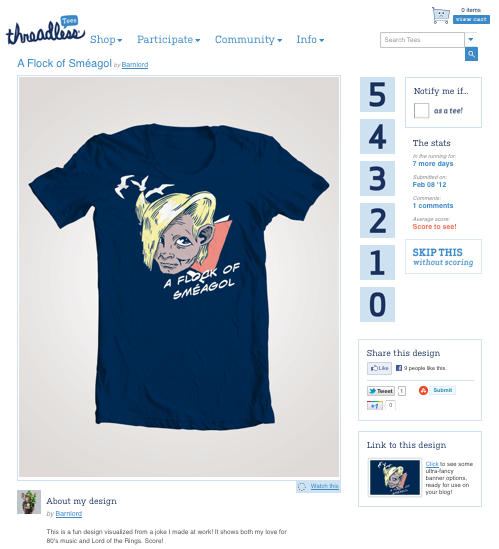 Taylor's Sweet Little Art and Nerd Site: A Flock of Sméagol Design is up for Voting! Hey everybody! Help me get my design to print by voting for it at the threadless website! If you like the design, you need to vote positively to get to print! Follow this link to go vote.